I managed to record my top 2% ranking score by using Sumire paired with You Yu . I am not sure if I will be able to achieve a top 1% score this time, but this was one of my first few attempts and do have room for improvement. When using You Yu as either your friend or your own leader, you need to keep in mind his Balance Killer awakening and how he will deal 3x damage to the final boss. Furthermore, you are forced to combo on Wadatsumi any way. Thus, you should be trying to hit the damage cap there instead of on floors with the fire bosses. 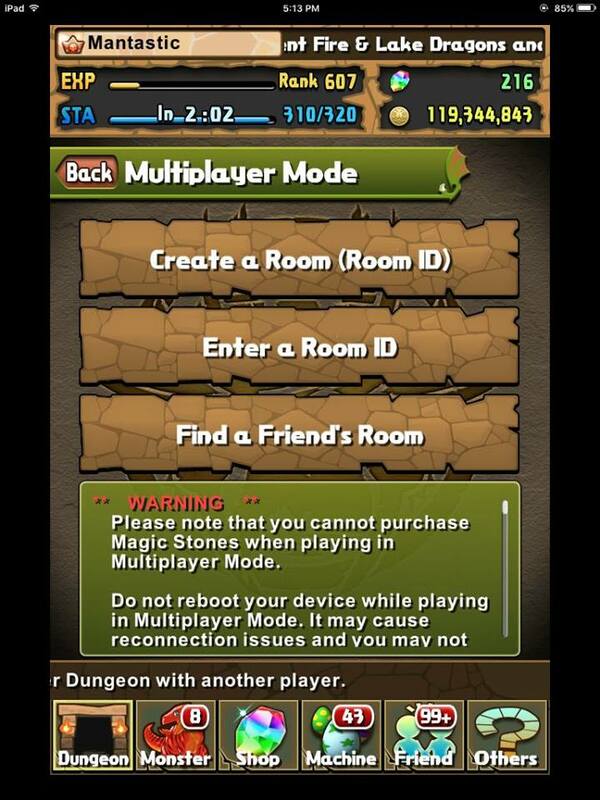 As such, you can then sweep the easier floors with fewer combos/actives and improve your speed. I decided to swap out my plus-less Skuld for my +297 I&I to provide 2x damage and assist in hitting the 40 million required. 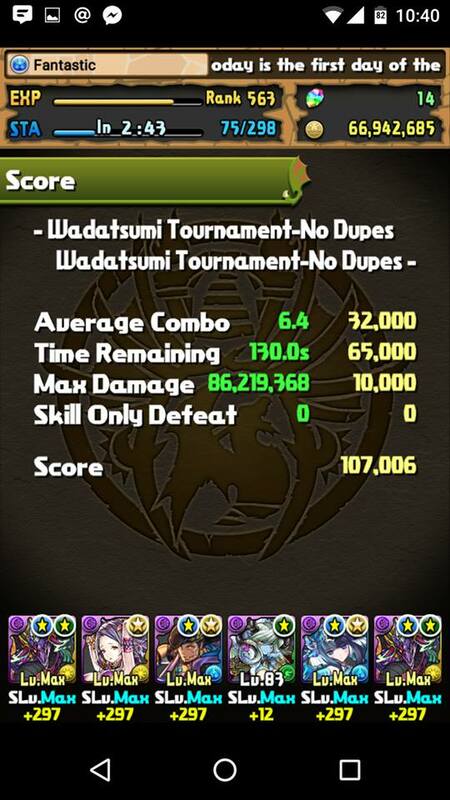 I decided to use Yomi Dragon for Fantastic due to a less ideal Sumire / You Yu pairing. Furthermore, Fantastic has an Eschamali and Goetia for the numerous dark orb enhances. 36x ATK is still respectable, but it requires more effort to hit the damage cap and I brought Oku to ensure I could hit 40 million on the second floor as I lack a Haku / Akechi combo. That was perhaps a bit too much damage and it did cost me additional time. 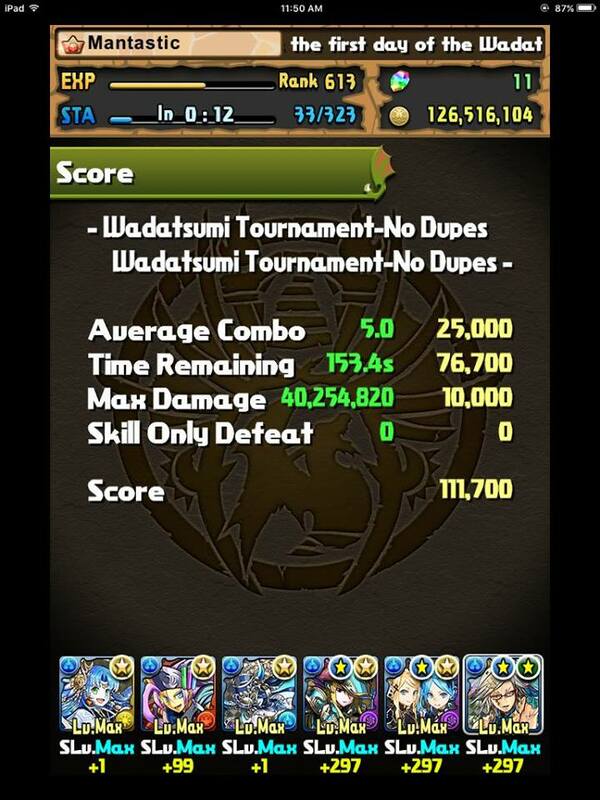 5 orb, 1 enhance reigns supreme in this ranking tournament due to the removal of Shiva Dragon and the fire absorption. I am uncertain if I could achieve another crown this time around as the lack of consistency for both teams hinders my performance. Sometimes I wish I had bought You Yu just for easy ranking crowns. Let me know what you are using and how well you are scoring. The Dragon Caller series of Tsubaki , Sumire , and Kaede all received varying buffs to their leader skills along with a previous update with additional awakening skills. As neither of these buffs have come to North America, it is worth analysing the changes as a whole and how they will impact their usage.